Lonnie Wheatley, FAIRBURY, Neb. 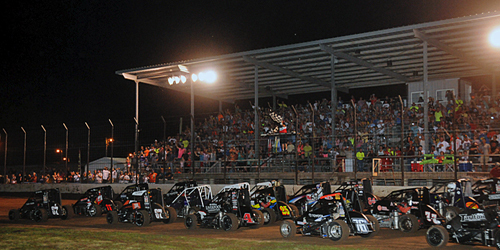 (August 1, 2017) – The biggest Midget racing week of the summer is upon us, as it kicks off tonight at Fairbury, Nebraska’s Jefferson County Speedway with some USAC National Midget “Tuesday Night Thunder” atop the racy 1/5-mile clay oval. The second edition of “Riverside Chevrolet Tuesday Night Thunder at Jefferson County Speedway presented by Westin Packaged Meats and Schmidt’s Sanitation” gets under way with qualifying at 7:00 p.m. and then racing action at 7:30 p.m. Joining the USAC National Midgets on the card that kicks off four nights of action over the next handful of days will be the JayHusker Non-Wing Micro Sprint Cars. After a successful inaugural installment of “Tuesday Night Thunder” topped by Arizona native Chad Boat last year, an additional 500 seats have been installed to further accommodate the large crowd expected for the event. With the first 100 through the gates receiving a free Budweiser koozie, an autograph session will follow at 5:20 p.m. with all the drivers along with cold beer, fireworks and a flyover to further enhance the intense racing action atop the cozy confines of the Jefferson County Speedway clay. Reigning Chili Bowl champion and NASCAR Camping World Truck title contender Christopher Bell will join in on the action to chase down “Tuesday Night Thunder” honors with a stellar field that includes the likes of current series point leader Spencer Bayston, defending USAC Midget champ Tanner Thorson, reigning USAC Sprint Car champion Brady Bacon, and the Clauson-Marshall Racing trio of Tyler Courtney, Shane Golobic and Justin Grant among others. 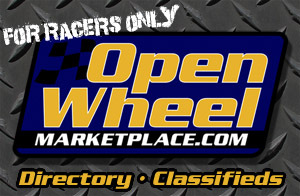 Contingency awards are up for grabs for every entrant including the Side Trek Bar and Grill $500 Hard Charger Award for the Midgets and Eagle Motorsports Inc. $100 Hard Charger Award for the JayHusker Non-Wing Micros. Plenty of tasty food options will be available as well with the Totally Smoked BBQ and Side Trek Bar & Grill vendors on hand. General admission tickets to the event are just $20 for adults with children ten and under just $5. Along with title sponsor Riverside Chevrolet and presenting sponsors Westin Packaged Meats and Schmidt’s Sanitation, other local sponsors that are making “Tuesday Night Thunder” possible include Chappell Roofing, Fairbury Chamber of Commerce, Starr Plumbing, X-CEL NDT, Side Trek Bar and Grill, Ol’ Red 99.5, Pollman Appliance, Z-Four Trucking, Vaughn Contracting, Criner’s Corner and Jefferson County Visitors Committee. A number of National and Racing Industry sponsors are making the event possible as well, including Speedway Motors, Rod End Supply, Budweiser, Eagle Motorsports Inc., Keizer Aluminum Wheels, Hepfner Racing Products, Spike Chassis and Shell Shock Helmet Painting. More information regarding the event is available at http://www.tuesdaynightthunder.com/ and on Facebook at https://www.facebook.com/TuesdayNightThunder/.